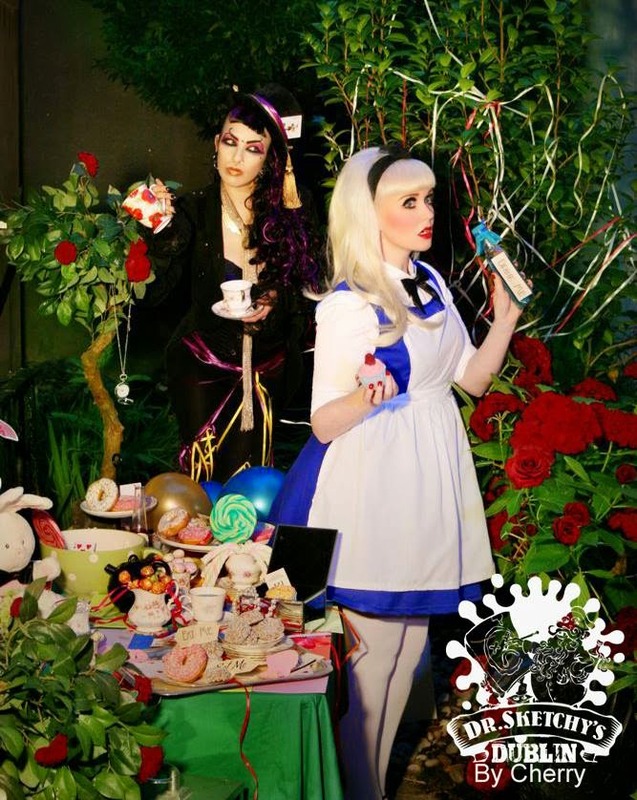 Today in Kelly's Bar, Galway - Dr. Sketchy's Galway does "Alice in Wonderland" at 17:00 - I forgot to post early enough for you to book tickets on their website, but there'll be some available on the door. Join us in hanging out with the Dr. Sketchy's crew for an evening of Art & performance (& doughnuts?) and their theme is my favourite book! Woo! Photos (probably?) by Kerri Katastrophe. I must post Art from our Pub Scrawlers later! Watch for the #drsketchygalway hastag on Instagram and Twitter for our stuff. Regular blog/admin/link updates are coming back soon!